The lucky person will thank you for the gift that keeps on growing. They’ll never be stuck for a free family day out at one of the inspirational RHS gardens. If they like to glam it up they’ll get member-only access to the growing calendar’s top events like RHS Chelsea Flower Show. Plus they’ll get all the free advice they need from expert horticulturalist and the much coveted ‘The Garden’ magazine which graces some of the finest coffee tables in the land. When we talk about gifts for gardeners this is the ultimate! The best bit? We’ve got an exclusive RHS membership discount. You can get an RHS Membership from only £39.25 meaning you save £19.75*. Don’t worry. We won’t tell them how much you saved. No. We’re not ‘mugging you off’ with this great gift idea. It’s totally legit. Your partner or friend is going to feel that they’re at the top of their growing game with this personalised Head Gardener enamelled mug with their very own name on it. The great thing is that if their newly found ‘Head Gardener’ status grows to their head the mugs are tough enough to withstand a weekend in the shed, i.e. where you banish your partner too? From a window box gardener to a allotment grower this is the perfect gift for any seed sower who wants to save the bees. In the words of the award winning SeedBall team “Each seed ball contains a mini ecosystem: wildflower seeds are mixed with clay, peat-free compost and a smidgen of chili powder, and rolled into a small ball. The dried clay acts as a protective casing from common seed predators. When sufficient rain permeates the clay, the seeds inside begin to germinate – helped along by the nutrients and minerals contained within the ball. The chili powder continues to deter predators while the seed ball slowly degrades and the seeds sprout.” That’s clever stuff and a great gift. Gin and gardening? Could they be the perfect mixers? We think so. 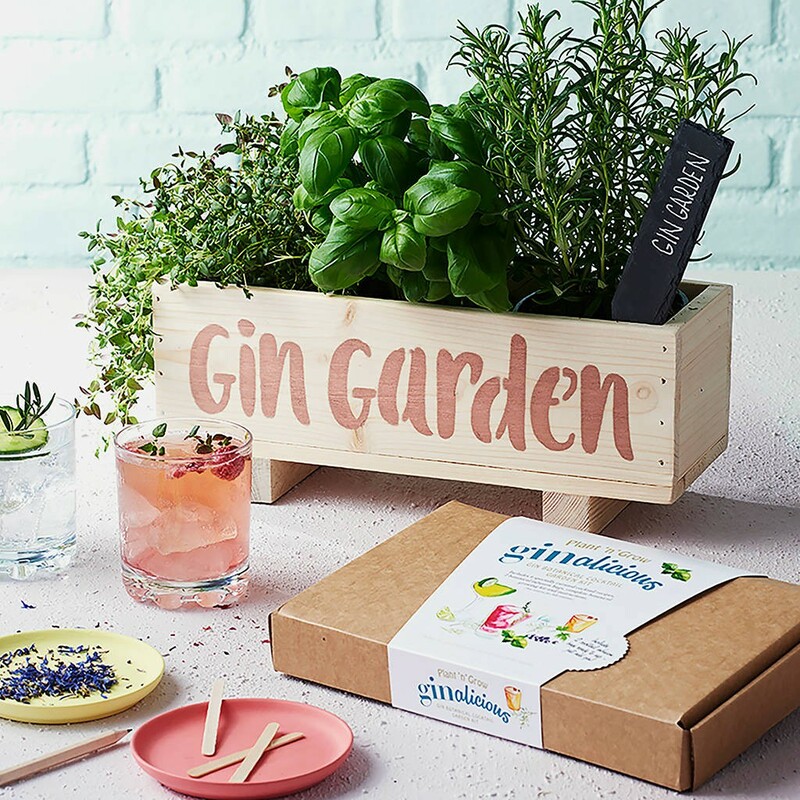 This Gin Botanical Cocktail Garden kit contains everything needed to sow, grow and mix that perfect gin cocktail. The kit comes with two hand-blended cocktail infusions and botanicals, and all you need to get growing your own botanicals. If you’re lucky, you’ll get invited round to share a glass or two. For more gifts for gardeners why not check out the GardenTags Market which is full of inspiration from independent growers. *By annual Direct Debit. Terms apply.